﻿The Lidl Bananaman Triathalon shows our age as I will be looking out for Eric and wondering how fast he will run, cycle and swim once he has eaten his banana. It is a triathlon held at the Iconic Olympic venue of Dorney Lake and participants will be doing their version of the triathalon. Our team plan to do a mix of the "whole banana" (800m Swim, 31.8km Bike, 7.5km Run) and a "Bunch of Bananas" relay, which is the same distances but is split between 3 people. This way the event will challenge our fittest pals but also allow more people to be part of our team. There is also a pre event scootathlon for small people! The combination of lidl, sweaty and tired people, wetsuits, and bananas will surely mean that this is going to be a really cool challenge. The fact that we have never done a triathlon or even swum in a race ( I am not even sure my bike is working) is just part of the adventure! We are the Lewis girls and have been overcoming challenges together for a long, long time, as sisters. Early challenges include learning to ride our bikes at the same time, putting up with a scary PE teacher, and managing the difficulties of teenage years. As adults we have been each other's support for many challenges and last year we climbed the 3 peaks challenge and the electric run, raising lots of money for our chosen charity. Rachel became involved in C12 when she was talked into a painful row down the Thames and 100k walk. We both love the idea of a whole host of people coming together to make a difference by pushing themselves to the limit. 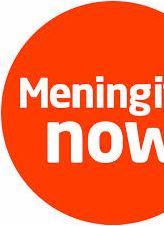 We have chosen Meningitis Now as our charity. In 2013 Charli's 17 month old son, Isaac, had bacterial meningitis and our family experienced a fortnight of fear, pain and apprehension. Thankfully, he survived and has made a full recovery. After he left hospital he found it difficult to sleep and kept having tantrums. Meningitis Now reassured Charli and explained that this was normal. We were so lucky, but the experience has changed us. 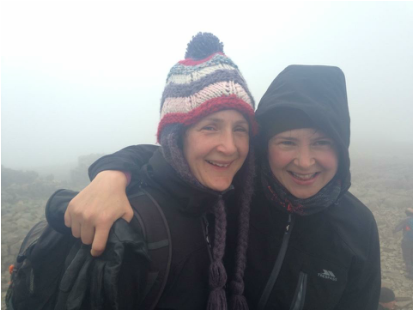 When we climbed the 3 peaks we were humbled to be walking with so many people who had lost their loved ones to the illness. Their stories were so moving and their commitment to raise money for the charity was truly inspiring. We will raise money whilst thinking of all of the wonderful people who have found the strength to do something good with their pain. Meningitis Now is such an important charity. Meningitis is the biggest killer of children under the age of 5 in the UK. Children and adults can contract it and the effects of the illness can either be fatal or can leave serious after effects, such as amputated limbs and brain damage. It is a horribly cruel illness and can kill in a matter of hours. Meningitis Now raises money to raise awareness of the vaccine that is available (but not yet available to all). They raise awareness of the symptoms of the illness so that people go to hospital before it is too late. But it also does amazing work with families who have been affected by Meningitis, such as providing long term counselling, support with education programmes, and advice about how to live with the after effects. We have heard how this charity has literally saved lives, not just those of people who contracted the illness, but also of grieving parents and survivors who have found it difficult to live after Meningitis.